Moriah Jefferson Adopts a New Pup; Kobie! Moriah and Kobie at Pets Alive in San Antonio. 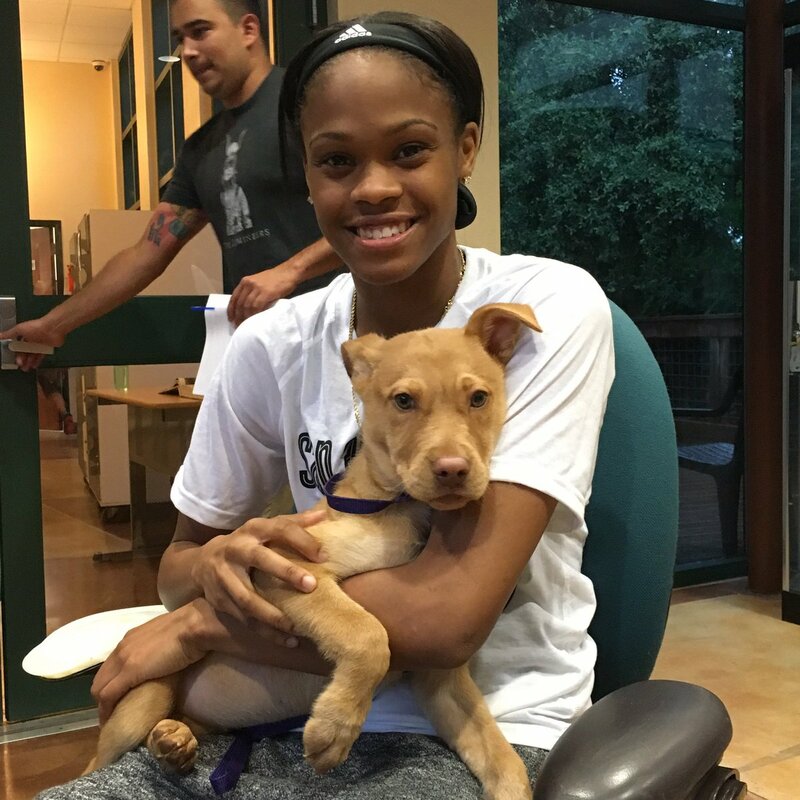 Earlier this month a few of the San Antonio Star’s players visited Pets Alive, an animal shelter which prides itself on being a community that saves at least 90% of the animals that enter its shelter system. The players were there to help promote an adoption drive the shelter was holding. Moriah Jefferson, the Stars first-round draft pick, was on hand to help out with the drive but found herself doing a bit more than volunteering. Moriah, who loves animals, found herself gravitating towards one of the dogs that were up for adoption. Ginger, a golden retriever mix, with light eyes and floppy ears won her heart. “As soon as I saw her I looked into her eyes and after that I was hooked. I didn’t think I was going to leave without her that day,” says Moriah about her first encounter with Ginger, who now goes by the name Kobie. Check out Moriah at the dog park with best friend Deysha and teammate Mo Currie, as she begins her journey as a new “mom”. Gimme Some Mo: Kobie from DJ on Vimeo.